Hi, Welcome to our new Android Games Weekly Edition. This section only focuses on the Best new Android Games released this week. This edition features, some exciting Racing games, Zombies, Bubble Puzzle games and real-time strategy games. Don’t forget to read our previous new Android games weekly section. Are you bored with so many car racing Android games? Try this new River Racing Game. The exciting speed, the brand new game design, you must get addicted to this special game experience. Race with yacht in the river and get more fun for this summer. Collect coins and race through hanging rings to get more scores. It’s time to challenge your skill between security and speed! Within a week or so, Bubble Totem has been downloaded more than 1,000,000 times. Bubble Totem is a fun and addictive bubble shooting game. This game is very easy to play, casual gamers will love to play this game. The game play is the same like other bubble games, just Match three or more bubbles of same color to destroy. However, this game has fresh and beautiful graphics. This new version has Six different scenes, e.g. Canyon, Forest, Snow Mountain, etc. and offers upto 200 levels. Join the Fast & Furious 6 racing team and push the limits of your Android phone. This game sets the new heights for all racing games with stunning graphics, new game modes, addictive challenges and intense full-throttle missions. Step in to the driver seat and Earn cash and the respect of the “Fastest” drivers as you drift and drag through the London street scene. Jump into tournaments or join a crew and take on the world by dominating the global leaderboards. Want to experience the True Street Racing Experience? Race Illegal is the Game for you. Get start your career as rookie driver in the streets and challenge the best in the field. Before you challenge you should earn respect in the racing field. With 20 tracks to race, 9 cars to choose from and a whole host of customisations there’s plenty here for the petrol-head to tinker with. The game offers most visually stunning locations to drive and best physics drive, nsane drifts and nitrous boosts. Ready… set… THROW! solve the puzzles and take the pride. This new Can Knockdown series bring the new challenges and game play and you will addicted to the game. Need extra brain to solve the puzzles in the game. Yes! It has simple to tricky puzzles. You can Show off your skills and challenge your friends! Game has Gorgeous 3D graphics, perfectly-tuned physics engine, easy-to-use controls. BLIP BLUP is an addictive conundrum of coloration that will consume your thoughts and occupy your dreams. You must carefully consider each move in order to fill every tile with color – 120+ perplexing puzzles await your brainpower. Game offers 120+ Brain Busting Puzzles. Solve your way through nine whole packs of levels, each featuring all new challenges and gameplay! 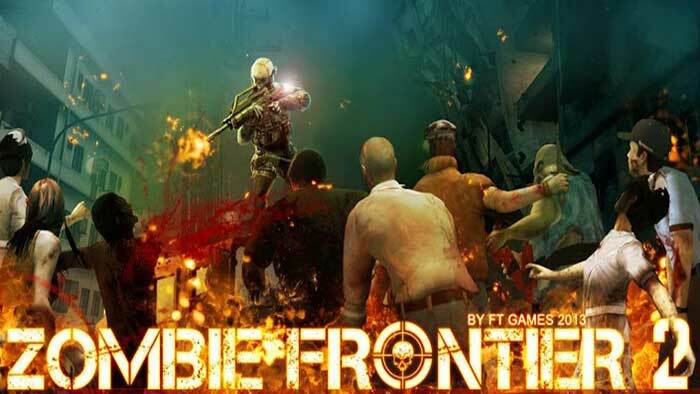 It is a new generation of Zombie Frontier. Since the last battle, we have saved many survivors.Human survivors self-help groups appear around the world.Medicine research work is on the way to success at the same time.However, the threat from zombies is never far away from us.The war between humans and zombies just begins. Enemy Lines is the exciting real-time strategy game. Lead up from the front and Train your troops and defeat your enemy in the cut throat battle field. Enemy Lines is free to play but you can buy special items to use in game. You can Form Alliances and compete in weekly tournaments with ladders and leagues. Finger Shepherd is an interesting puzzle type of game where you, a shepherd dog, need to pick up your sheep from across the land, flock them together, and make sure that they make it in one piece back in their pen, all in the least possible amount of time. Use your finger to herd your sheep to the safety of their pen. Guide your flock across dangerous lands and avoid the farmyard obstacles in your path.